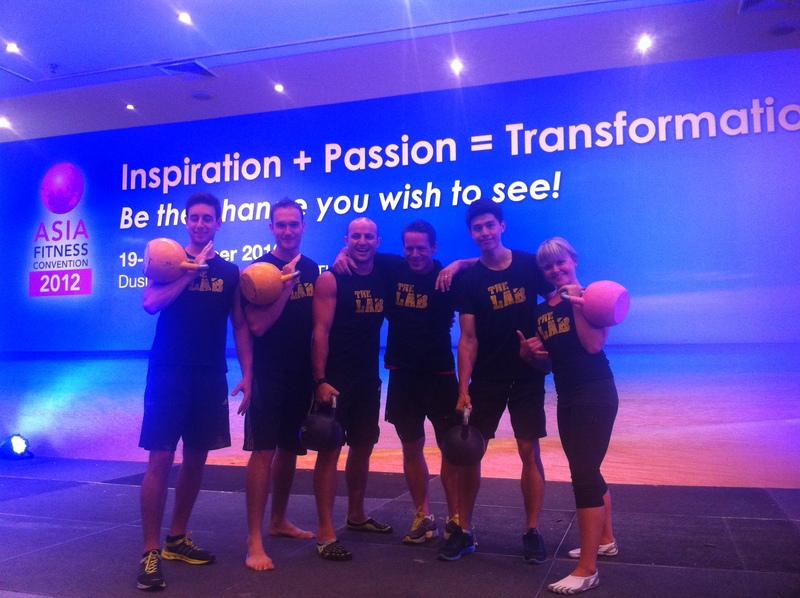 Last week the Asia Fitness Convention came to the Dusit Thani Hotel in Pattaya. I attended a few sessions at last year’s convention in Bangkok but this was my first full conference. The event was a great opportunity to refresh knowledge, get some new ideas and pick up some inspiration to push forward. What I enjoyed most about the conference was meeting people all over the region (and the world!) involved in the fitness industry. I met fitness professionals based in Hong Kong, Korea, Phnom Penh, Vietnam, Sri Lanka, India and the States, to name a few, and I’ve already planned a few trips for the next few months. Below are the top 8 things that I learnt or was reminded of at the AFC 2012. Kettlebells! I’ve been kettlebell training for 2 years but it was great to get a refresher on kettlebell technique from the man at the top of the sport, Steve Cotter. The guidance and instruction was invaluable and it truly was a unique opportunity to learn from the best in the business. Calories I attended some great sessions with Fabio Comana, head of NASM (National Academy of Sports Medicine). His nutrition seminar taught us that tables showing how many calories we use each day (based on our perceived activity levels) are decades old and are therefore very outdated. As a western population we move around far less that we used to and this needs to be taken into account. In short, these quantitative tables, and related apps and online calculators, are often rendered confusing and misleading, and we should focus more on the process towards healthy living. If we do this, the results will come. Weight training is fine for 7 years+ I have always subscribed to the idea that weight training for young people is healthy and productive. After all, since the dawn of time children would have been required to move and lift heavy items. It was good to hear my views reaffirmed by Fabio and to hear the NASM recommendation that resistance exercise is good for children 7 years and above. I’m not suggesting we have kids doing 1 rep max power cleans, I mean lifting and shifting weight safely with good and proper technique. A lot of parents believe it will stunt their growth, including some parents of children I instruct at some of my international school strength and conditioning programs. This is totally misguided. Body fat % testing machines are largely useless I’ve always thought this and seldom use these handheld machines. People seem to like gadgets that provide numbers on progress though so they’ll be around for a while. NEAT stands for Non-Exercise Activity Thermogenesis and is based around the idea that someone who is generally more active throughout the day but works out 1-2 times a week can get better health, fitness and weight loss results than the person hunched over the computer who trains hard 3-4 times a week. This seminar on calorie expenditure and weight loss provided a lot of information to help my weight loss clients. IKFF are serious about their qualifications With many fitness courses you simply turn up for the day and pick up your certificate. That’s not to say they don’t hold value, but most are simply attendance based rather than pass/fail. It was refreshing to see that the International Kettlebell and Fitness Federation have a very stringent test and evaluation, which only 3 people out of 20 passed, including two of my colleagues at The Lab (well done Rich and Sasha, only the best at The Lab!) This means that to hold this certification really means something significant and special. There’s a difference between training hard and training well Training someone ‘hard’ is easy, you simply increase the work time, weight or reps and decrease rest time until they’re exhausted. However, training athlete’s effectively and efficiently is somewhat different. Progressions should be earned, not given. The metabolic conditioning seminar provided a good reminder on programming, recover time and training with your goal in mind. And the last thing I took from the AFC 2012? A pink BOSU! Confirming the long-held theory that alcohol and charity auctions don’t mix, me and my colleague and friend Sasha put in a last-second winning bid for a bright pink BOSU stability ball… Haha! This entry was posted in Bangkok Specific and tagged Asian Fitness Convention 2012, Asian Fitness Convention 2013, Bangkok, Goals, Personal Trainer by jackthomas. Bookmark the permalink.